Tucows Inc. is a publicly traded Internet services and telecommunications company, headquartered in Toronto, Ontario, Canada, and incorporated in Pennsylvania, United States. It is the second-largest domain registrar worldwide and operates Hover, eNom, and OpenSRS, a platform for domain resellers. In 2012, Tucows launched Ting, a wireless service provider and fiber Internet provider, and continues to operate its namesake directory of shareware and freeware software downloads. 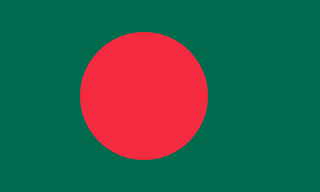 Bangladesh, officially the People's Republic of Bangladesh, is a country in South Asia. It shares land borders with India and Myanmar (Burma). The country's maritime territory in the Bay of Bengal is roughly equal to the size of its land area. Bangladesh is the world's eighth most populous country as well as its most densely-populated, to the exclusion of small island nations and city-states. Dhaka is its capital and largest city, followed by Chittagong, which has the country's largest port. Bangladesh forms the largest and easternmost part of the Bengal region. Bangladeshis include people from a range of ethnic groups and religions. 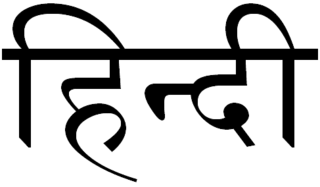 Bengalis, who speak the official Bengali language, make up 98% of the population. The politically dominant Bengali Muslims make the nation the world's third largest Muslim-majority country. 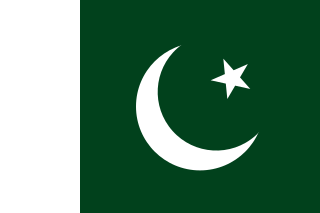 Islam is the official religion of Bangladesh. Box Office India provides information of box office results for domestic and overseas collections of Hindi films. This website updates box office reports on regular basis with territorial breakdown of domestic figures and top earners by decade and all time records. It also creates an overall week chart for domestic collections and update final worldwide gross of Hindi films. 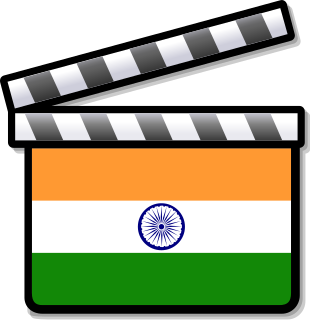 It updates opening and final figures of overseas collection of Hindi films from various countries as well as the collection of Hollywood films in India. Telugu is a Dravidian language spoken in the Indian states of Andhra Pradesh, Telangana and the union territories of Puducherry (Yanam) by the Telugu people. It stands alongside Hindi, English and Bengali as one of the few languages with primary official language status in more than one Indian state. There are also significant linguistic minorities in neighbouring states. 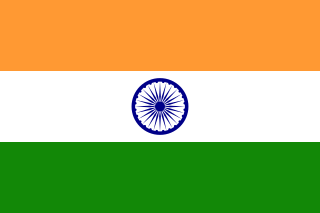 It is one of six languages designated a classical language of India by the country's government. Lara Dutta is an Indian actress, model and beauty queen who was crowned Miss Intercontinental 1997 and Miss Universe 2000. She is the second woman from India to be crowned Miss Universe, and has been the only delegate from India to win the crown since. Primarily known for her work in Hindi films, she has also appeared in Tamil language films. She is the recipient of several accolades including a Filmfare Award. Boney Kapoor is an Indian film producer who has produced numerous Bollywood films like Mr. India, No Entry, Judaai and Wanted to his credit. He was married to actress Sridevi until her death in 2018. He is the elder brother of actors Anil Kapoor and Sanjay Kapoor and father of film actors Arjun Kapoor and Janhvi Kapoor. Rajkumar Hirani is an Indian film director and editor. He is widely regarded as one of the most successful and critically acclaimed filmmakers in the history of Indian Cinema. Hirani is known for directing the Hindi films Munna Bhai M.B.B.S (2003), Lage Raho Munnabhai (2006), 3 Idiots (2009), PK (2014) and Sanju (2018). All of his films have been huge commercial and critical successes. Most have won several awards, including the national awards, and have often been regarded by the media and audiences as some of the most path-breaking films in the history of Hindi cinema. He has won 11 Filmfare Awards. He is the founder of production house Rajkumar Hirani Films. Dhoom 3 is a 2013 Indian action thriller film written and directed by Vijay Krishna Acharya and produced by Aditya Chopra, It stars Aamir Khan, Abhishek Bachchan, Katrina Kaif and Uday Chopra in lead roles. It is the third installment of the Dhoom series. Ek Tha Tiger is a 2012 action thriller spy film directed and co-written by Kabir Khan, and produced by Aditya Chopra. It is the first film in the Tiger franchise, and contains an ensemble cast, which stars Salman Khan and Katrina Kaif, and features Ranvir Shorey, Girish Karnad, Roshan Seth, and Gavie Chahal. Krrish 3 is a 2013 Indian superhero film, produced and directed by Rakesh Roshan, and written by Honey Irani and Robin Bhatt. It is the third film in the Krrish series, following Koi... Mil Gaya (2003) and Krrish (2006). The film stars Hrithik Roshan, Vivek Oberoi, Priyanka Chopra and Kangana Ranaut in the lead roles. The story follows the life of Rohit Mehra, a scientist, and Krishna Mehra, a.k.a. Krrish, his superhero son, who face an elaborate conspiracy orchestrated by the evil genius Kaal and his female henchman Kaya. In the process, Krishna's pregnant wife Priya is kidnapped by Kaal and the form-changing Kaya takes her place at the Mehra home and eventually falls in love with Krishna. Raaz 3D is a Bollywood horror thriller film directed by Vikram Bhatt, and produced by Mahesh Bhatt and Mukesh Bhatt. The movie features Bipasha Basu, Emraan Hashmi and Esha Gupta as main characters. The film is the third installment in the Raaz series, being a sequel to Raaz: The Mystery Continues, which itself was a sequel to Raaz which starred Bipasha Basu and Dino Morea. Bipasha Basu who was a part of the first film of the Raaz series, has made a comeback to the series after opting out of the second film. It was one of the films in a series of quasi-sequels released under the Bhatt Banner including Raaz: The Mystery Continues, Murder 2, Jannat 2, Jism 2, 1920: Evil Returns, Murder 3 and Aashiqui 2, each of which had nothing to do with their respective prequels, but somehow fell into the same genre following a similar story. 100 Crore Club is an unofficial designation by the Indian film trade and the media, related to Indian language films that have net ₹100 crore or more in India after deducting the entertainment tax. By 2012, the ₹100 crore box office target had become "a new benchmark for a film to be declared a hit", and those affiliated with the 100 Crore Club were considered part of the "elite strata" within the Bollywood film community. It was succeeded by the 1000 Crore Club in 2017. Bajrangi Bhaijaan is an Indian drama film written and directed by Kabir Khan, co-written by K. V. Vijayendra Prasad and Parveez Sheikh, and produced by Salman Khan and Rockline Venkatesh. It stars Salman Khan and Harshaali Malhotra in leading roles, with Nawazuddin Siddiqui and Kareena Kapoor Khan in supporting roles. Salman Khan plays Bajrangi, an ardent devotee of Hindu deity Hanuman, who embarks on a journey to take a mute six-year-old Pakistani Muslim girl, separated in India from her parents, back to her hometown in Pakistan. 1 2 "Boxofficeindia.com Alexa ranking". Archived from the original on 5 March 2016. ↑ "New BOX OFFICE INDIA Goes Live". Box Office India. Archived from the original on 25 January 2014. Retrieved 20 January 2014. ↑ "Domain Name Analysis". Archived from the original on 1 February 2014. Retrieved 23 February 2011. ↑ "Domain Information". Archived from the original on 2 February 2014. Retrieved 23 February 2011. ↑ "boxofficeindia SEO score" . Retrieved 23 February 2011. ↑ "websitereport". Archived from the original on 1 February 2014. Retrieved 25 November 2012. ↑ "Boxoffice". indianexpress. Retrieved 9 November 2011. ↑ "Boxoffice". channelnewsasia. Archived from the original on 19 November 2009. Retrieved 17 November 2009. ↑ "Boxoffice". economictimes. Archived from the original on 12 August 2011. Retrieved 6 October 2010. ↑ "Box-Office Collection: Who can you trust?". Archived from the original on 9 February 2017. ↑ "About Box Office India". Archived from the original on 19 September 2012. Retrieved 25 November 2012. ↑ "Boxofficeindia: See How much a Bollywood movie has earned on Box Office". Techshali. Archived from the original on 2012-11-25. ↑ "You Asked It - Why Are China Collections Not Added To Worldwide Collections". Box Office India. 1 March 2018. Archived from the original on 26 April 2018.